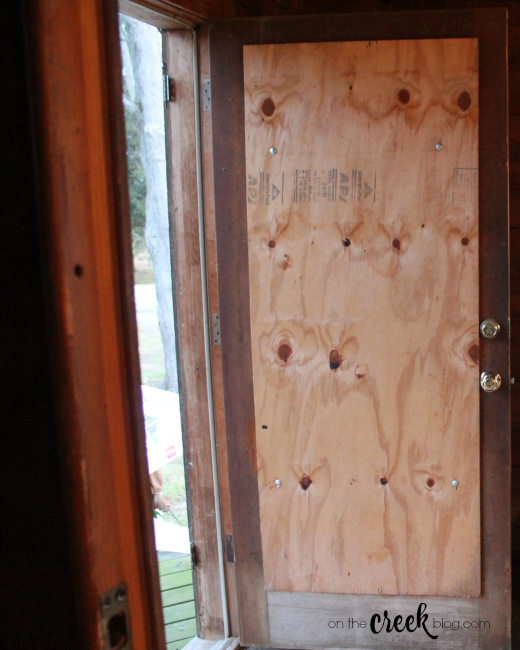 The door glass is broken, so that's why there's plywood over it. The door is also badly scratched and really doesn't open properly. We were thinking about installing new glass in the door or just replacing it with another wooden door so we headed to our nearest home improvement store and inquired about new wooden doors. 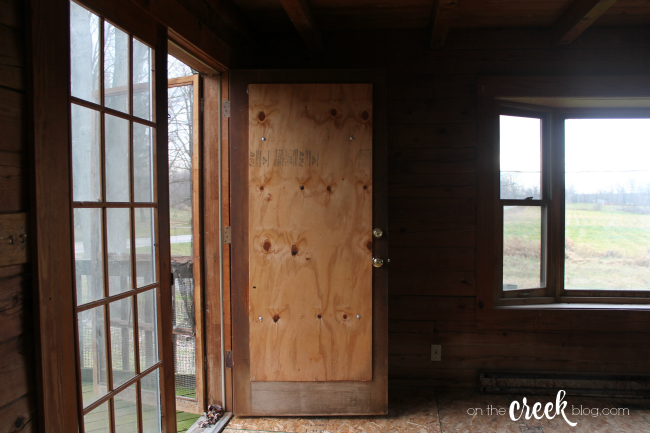 Wood doors aren't cheap and since our door was a custom size, it made matters slightly worse. The cost to replace our door with a wood duplicate would have been something like $5,400! We decided to just buy an in stock vinyl door and fit it into our door opening. The cost of a vinyl door was about $450. Sure, our house is going to look super weird having a white vinyl door, but any time I can save $5000 is a good day! Also, it will be so nice to have a functional door again! I hate fighting with the existing door for it to open.